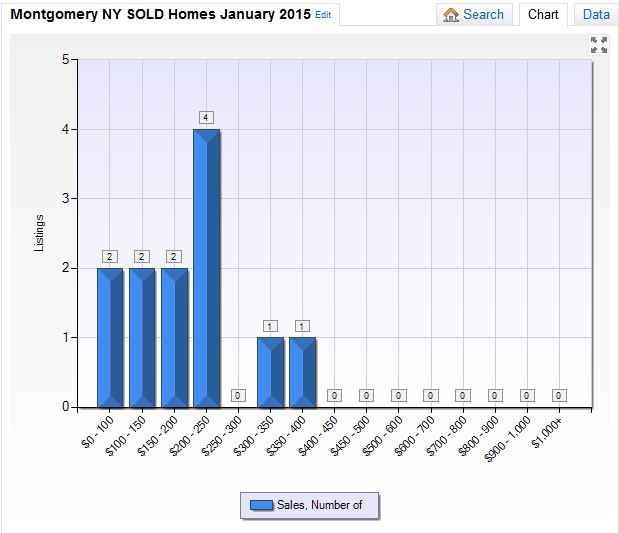 What is my Montgomery NY Home Worth in January 2015? 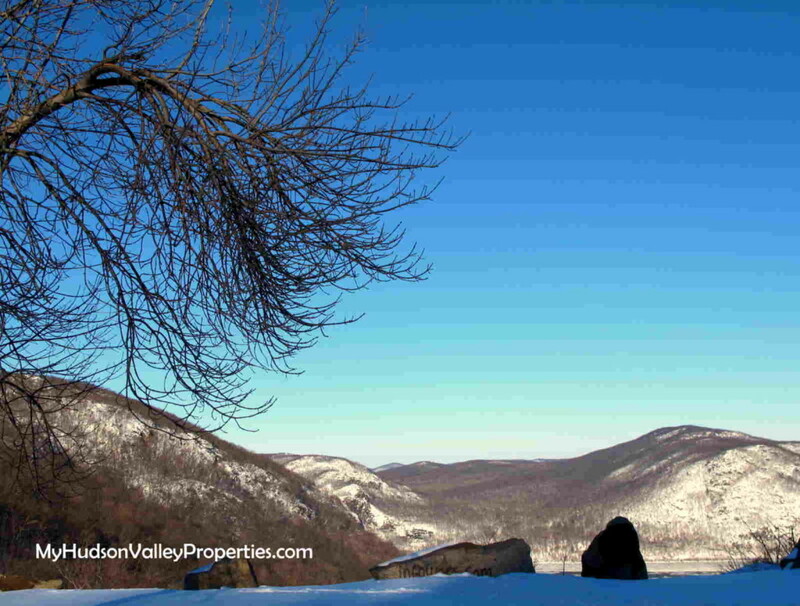 Selling your home in Montgomery NY is not such a hard thing if your home is priced under $300,000. Seems that our buyers are all surfing for a home around that price when looking where to move in Orange County NY. If your home is under that price point, you are more apt to see a great volume of buyers out looking at your home. That doesn’t meant that higher end homes don’t sell, it just means there are less buyers viewing your home and it may take a bit longer to find a buyer wanting to make your house their home. New Construction homes are part of the inventory for Montgomery NY. There was one new home that transferred title in Montgomery. Although the weather has been nasty, builders continue to put more spec homes on the market even during the winter this year. It has been a bit of a slower process, but buyers still love new homes. Many that can will wait, knowing that winter slows things down, but never stops the process. Three of the twelve homes that sold were Bank Owned or shortsale properties. It is good to see those homes get scooped up and off the market. It is helping our area return to a more balanced market with a better future for market values to remain the same, or increase. Do you want to know more and follow the local housing market? Let me sign you up for the monthly market reports, or be sure to visit here every month. When you are ready, I can give you a more specific and detailed personal analysis of your home and neighborhood. I would be happy to provide you with accurate and up to date information. Buyers also need info on pricing in a local area. Once you are on the right path, searching for a new home can be fun. Let me help you navigate a path and show you the way home. I work with buyers to help them pursue the right home and the best deal possible. published by: your real estate expert Janis Borgueta Key Properties of the Hudson Valley as a community service in Newburgh NY. To receive more real estate information please subscribe to this blog. Looking to buy a new home? 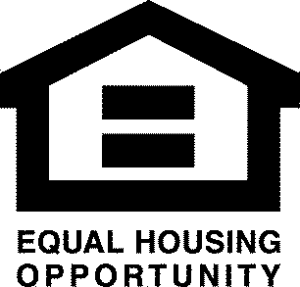 You can contact Janis at (845)-527-7115 or find her on Google+ Statistics represent single family homes for sale in Montgomery NY (source HGMLS ). Information is deemed reliable, but not guaranteed.